All our Table Olives are hand picked at our farm. 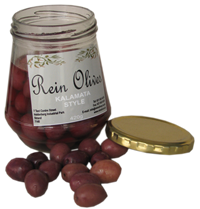 Before the preparation process, all olives are sorted by cultivar, size, colour and quality. Following olive protocol, the preparation process then involves the total immersion of olives in a salted solution in our specially prepared holding tanks for at least 12 months. During this 12 month period, these tanks are oxygenated continuously via a controlled process. This is to ensure the quality and colouring of the olives are retained during the 12 month immersion process. After this lengthy preparation process, our tanks are opened and all olives are rinsed in a high quality saline solution, and dried for a 24 hour period, where they are once again fed through the quality inspection process. Our olives are then run through our automated and accurate sizing modules, where once again they go through a third rigorous quality inspection. Our olives at this stage are then packed into their final packaging in our special recipe brine which enhances and maximizes flavour. 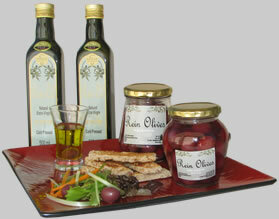 We are proud of our Olives and our winning recipe is care and love for our plantations and their wonderful fruit.